Shopping Away from Home | Barbie Who? I am very happy to be back home. Things are starting to get back to normal, and I have made more time for crafting now that I have caught up on travel laundry. Since I don’t have anything substantial to show for the last few days (the cat literally walked off with the pants I am trying to knit), I am going to talk about some cool things I bought while traveling. One fun activity we did while away was visit a flea market. It was an interesting experience! I have been to rummage sales before, but this flea market was like nothing I have experienced before. It was a metal building with long, winding halls. Each and every wall was filled with booths and vendors. They sold beautiful clothes, scarves, fabric, toys, and food. One stall even had air plants! They’re succulent plants that don’t require dirt to thrive – you just need to mist them. It was really cool to see such a variety of random items under one roof. I wish I had my camera; they had some knock-off dolls that were positively hilarious and would have been worthy of their own blog post. Oh well, c’est la vie. I made a few purchases at the flea market. One vendor had many boxes of seemingly random wares in her stall. She was a nice Asian lady and played with the baby as I paid her – she even gave her a little drum toy. Next to a box of bras, he had a variety of crochet and knitting supplies, including some really nice looking bamboo needles. She had regular bamboo needles and carbonized bamboo needles available for sale. I decided to purchase two sets of carbonized bamboo needles. The first set is a standard set of single pointed needles. These needles are so cool! There are 18 pairs of them, ranging from 2.00 mm to 10.00 mm. The size is pressed into every pair of them, so they are easy to identify. I’m optimistic that these markings will last better than my previous set of bamboo needles. They cost $10.00, which is a fantastic deal for so many needles. 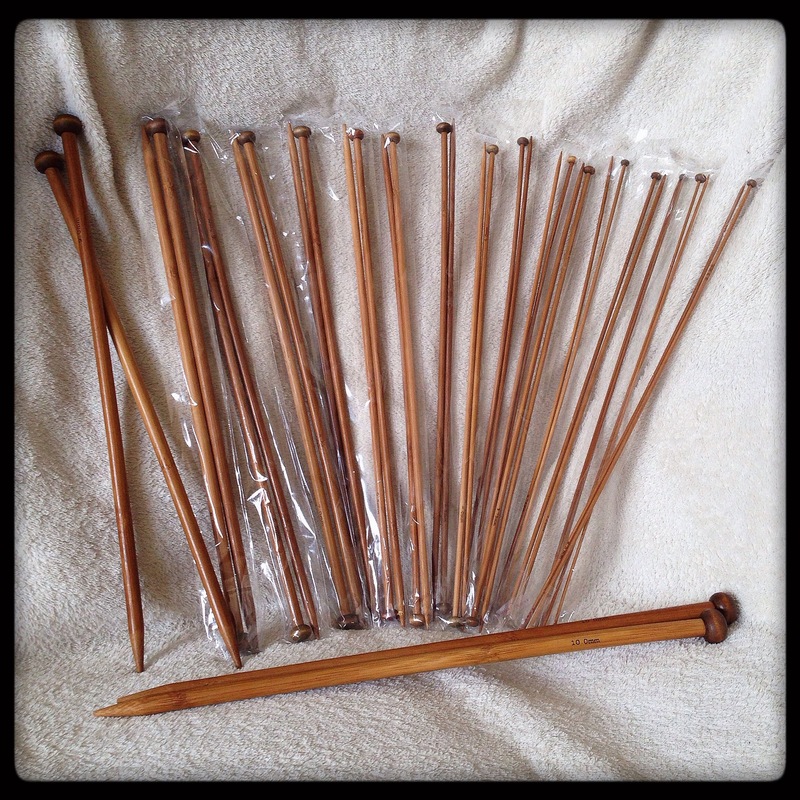 The second set of needles I purchased was a set of double pointed (DPN) carbonized bamboo needles. They look just as great as the single pointed needles. This is a group of 15 sizes of DPNs. Each size includes 5 individual DPNs – this is awesome! Half the needles at the hobby shot only include 4 individual DPNs, but some projects just need that fifth needle. It cost $10.00 for the lot. They, too, have their size printed onto them, but I don’t expect those markings to last as long as the other needles because they are in an area that will see more wear. These needles range in size from 2.00 mm to 10.00 mm. I absolutely love them! I don’t know if I will use them much for the blog because the smaller sizes are so dainty (my big hands would probably snap them), but I am sure they will come in handy for the hat commissions I receive. I am tickled pink to have them. The two sets of needles are a perfect for my needs. At another stall, I met an lovely woman who had a complete set of boxed Disney dolls. They ranged in price from $20.00 to $40.00, so it was out of my price range. Still, it was very impressive because she had princesses, princes, and villains. I didn’t even know they made a Barbie sized Ursula doll, and there she was! It was such a cool thing to see. It also makes me wish that the non-princess Disney dolls were more popular. I see princess dolls fairly regularly (I even have a few), but the only Disney prince I have ever seen was that broken Aladdin doll. It would be nice to see Prince Phillip or Kristoff in stores. Now that I think about it, I don’t even think they have the Prince dolls at most retail stores. I remember seeing Prince Eric at Toys-R-Us when I was doing Christmas shopping, but I can’t think of any other time I’ve seen a prince from the other movies. I’m sure it is all due to popularity, but I can dream. Among the most interesting vendors at the market had a variety of baskets, tins, and jars in their stall. It was so interesting to see the variety of items this man had collected. He also wove baskets, and his work was beautiful. I would have bought one if I thought it would survive the trip home. Many of his tins had foreign writing on them, and there was a wide variety of shapes and styles. One of his tins caught my eye. 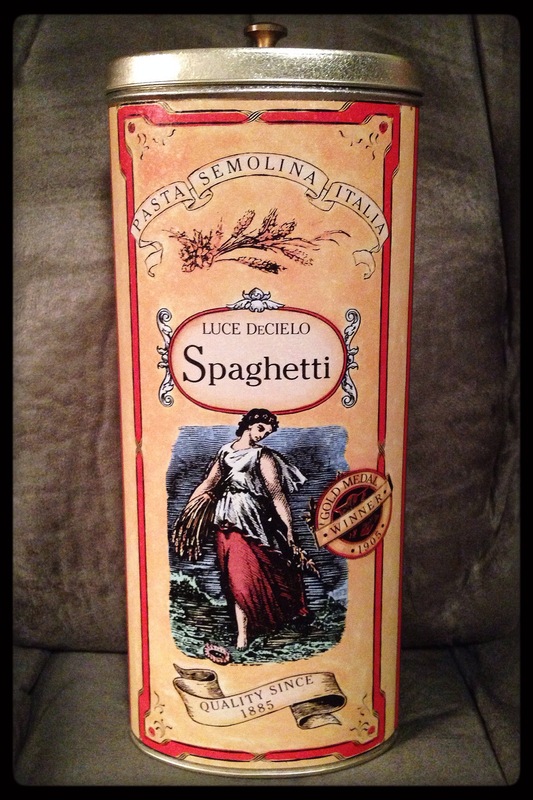 It was long and originally held spaghetti; it was the perfect height to store my newly purchased knitting needles. I had to buy it, if for no other reason than to ensure my new needles would have an extra layer of protection on the trip home. I am happy to say that it worked! My needles arrived home intact. It is also a perfect fit for all my miscellaneous needles in the house. It was $2.00 well spent. The final stall of note is where I purchased one final item. It was run by a husband and wife, and they were delightful. The two of them mostly sold clothes, but they also had some jewelry, scarves, and a set of circular knitting needles. I absolutely had to indulge and buy them because they came in tiny sizes that my local hobby shop doesn’t carry. I also liked how they each had a darning needle included with them. You can never have too many finishing needles. These are a set of small metal circular knitting needles. I haggled the price for them from $20.00 down to $15.00, which is completely reasonable for a set of 13 needles. The needles are metal and have a plastic coated coiled steel cable between them. They are a bit stiff, but they feel sturdier than previous circular needles I have owned. Also, the joins between the needles and cable is very smooth and doesn’t feel loose at all. In addition to the circulars knitting needles and darning needle, they come with a weird little plastic sizing thing. I believe the numbers on it show UK sizes. After taking this picture, I wrote the millimeter conversion on the packaging in marker to help myself keep it all straight. Their sizes include 1.00 mm to 5.00 mm, and five sizes are 2.00 mm or below. This will allow me to venture into more micro-knitting. I have seen some amazing work by other knitters using tiny needles and size 30 crochet thread, and I will now be able to try it for myself. I bought these needles specifically for the blog. You will see items produced from them in the coming weeks because I am so excited to break them in. I hope you enjoyed this little venture to the flea market. I totally splurged, but given the circumstances it was well earned. 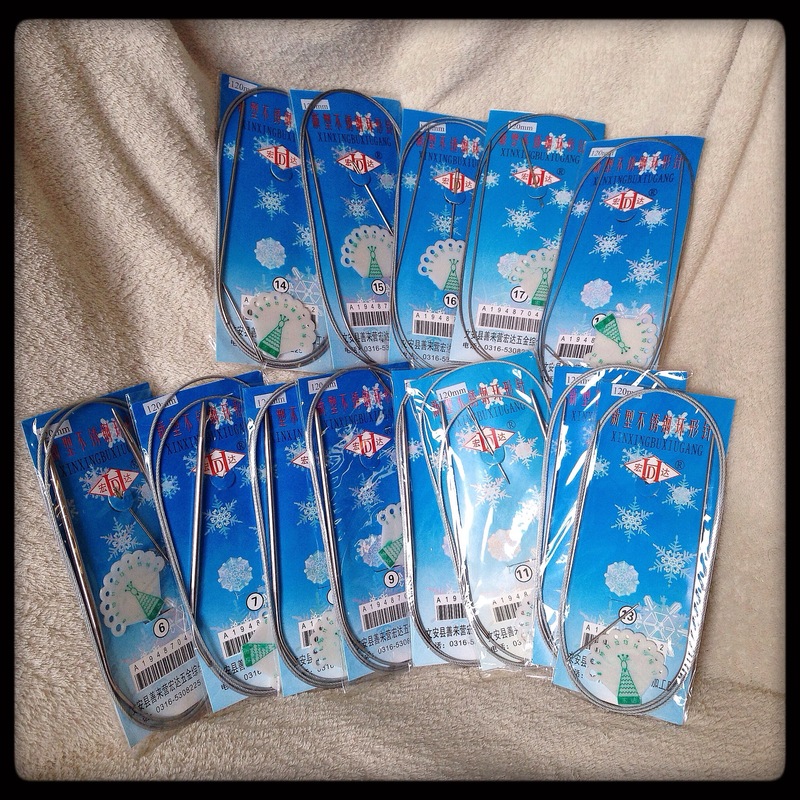 I plan to put all of the needles to good use, wether it is for the blog or my commissions. The three new sets of needles make up for all the needles I lost the last time we moved, and they cost a fraction of what I paid. Overall, I am very pleased with these needles and the other things we purchased at the market. I am currently working on a pair of pants for the Ood outfit. It is slow going because my daughter keeps getting her hands on my work and unraveling it. So frustrating, but my own fault for not securing it better at night. I hope to have something to show by this weekend, and I am crossing my fingers that it will turn out better than the last pair. My only fear is that they’ll be short for the Barbie doll, but I won’t know for sure until I sew them up. I look forward to sharing the results with you. 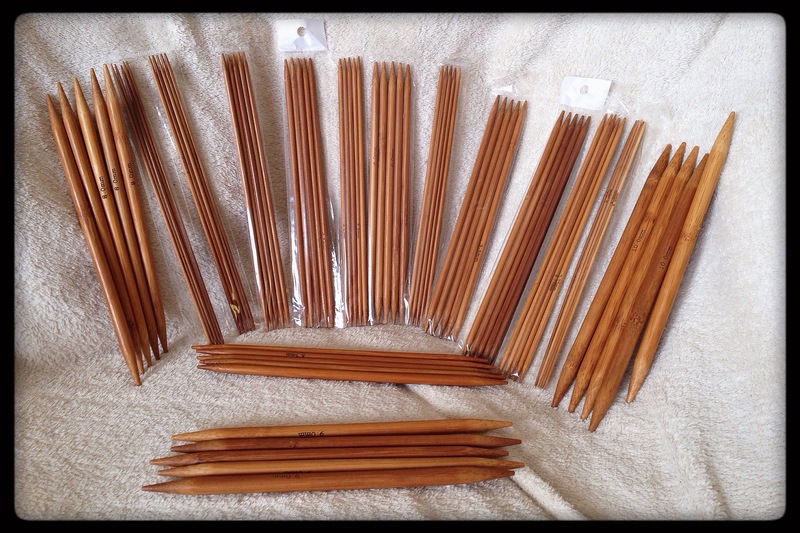 Those sets of bamboo needles look absolutely lovely and they were a bargain! I’ll have to keep an eye out for some similar event around here. I hope you find some! They are very sturdy, too. I was working on an Elsa hat and I like them more than metal needles.